Our Boston hip replacement attorneys understand that representing a client injured by one of the now-recalled DePuy artificial hips requires a great deal of familiarity with defective medical product litigation. These can be extremely complicated cases. 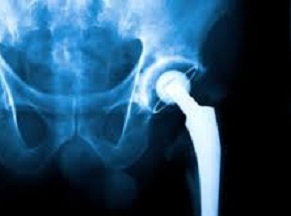 According to a recent article, the State of Oregon has settled with DePuy Orthopedics for $4 million over deceptive marketing involving artificial hips. This case involved a metal-on-metal artificial hip that was prone to failing. It has been established that the metal would deteriorate over time, producing shards of metal that have caused muscle damage and other complications requiring surgeries. The iron itself has been known to cause damage to the liver, kidneys, and other internal organs. According to reports, the company took advantage of a streamlined FDA approval process to get the artificial hips to market. The model involved is the ASR XL hip and the manufacturer’s parent corporation, Johnson & Johnson, has already settled thousands of suits; however, this was the first lawsuit filed by a government agency for unfair or deceptive trade practices. The settlement amounted to ten thousand dollars per unit sold to each patient living in the state. Personal injury cases that involve defective products have several issues that need to be addressed. One of those issues is proving that the defective product caused an injury. When dealing with injuries involving iron shards from a metal hip, there will likely need to be a review by a medical expert knowledgeable about the specific type of injury. Your attorney can make an appointment for you to see a doctor who will diagnose the injury and its cause and generate a report to use in settlement negotiations and at trial, if necessary. This appointment is primarily to diagnose a condition for litigation, which is different than seeing a doctor for treatment. A second issue deals with proving that the manufacturer of a defective product knew or should have known that the product was defective and likely to cause the type of harm involved. Generally speaking, a negligent act involving a defective product must be the actual and proximate cause of harm suffered. In addition to the common law definition of negligence, state law, such as the Massachusetts Consumer Protection Act that is codified in Chapter 93A of the General Laws, may allow for increased recovery in certain types of negligence cases. If a defective artificial hip is causing your suffering, it can be a confusing and intimidating process. You may be in a great deal of pain and not know where to turn. The best thing you can do is to personally meet with an attorney in Boston who regularly represents people in your situation. There is a lot of information on the Internet about these types of cases, and there are commercials running on TV about class-action lawsuits, but every situation is different. You should speak to someone about the facts of your specific situation. If you are injured as the result of a defective medical product in Massachusetts, call the Law Offices of Jeffrey S. Glassman for a free and confidential appointment: 1-888-367-2900.